The energy-efficient rectangular VAV RVP-P terminal and the circular VAV RVP-C terminalenable precision control of the amount of air entering a room. They can be supplied with a variety of control options for different applications and are ideally suited for use with TEL’s AFA5000 Room Space Controller. Mechanical CAV terminal units are used for maintaining a constant volume of extract and supply air. 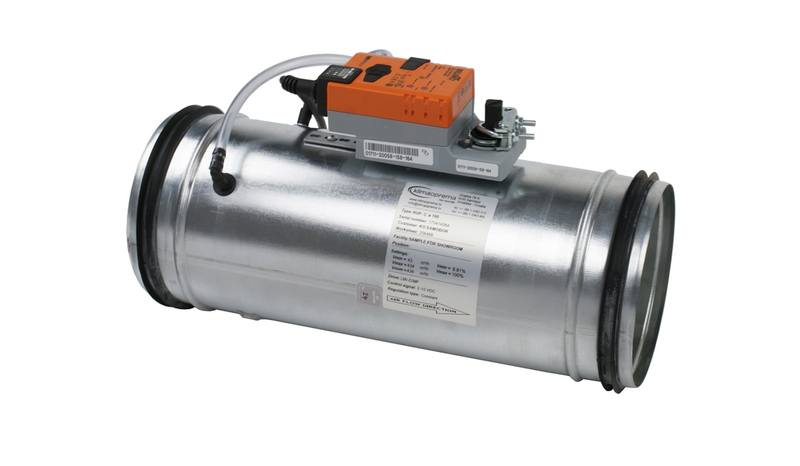 The rectangular CAV VRRK terminal ensures a constant volume of supply air of up to 10,000m3/hr into a room, while the circular CAV VRK terminal is maintenance free and with a range of between 75 to 1,650m3/hr. Both are available in a range of sizes and are adjustable in the field over a set volume range in order to meet users’ specific air supply and extraction requirements. A collection of energy-efficient attenuators limits the sound made by the ventilation systems, the aerodynamic form of the PZX and PZM models minimising drag and so saving energy. All products can be quickly and easily installed in new or refurbished premises.